20 Quart Capacity: this canner / cooker / steamer accommodates safe and large-scale canning as well as providing amble cooking capacity to feed a large family. Safety: this canner / cooker / steamer meets UL standards, meaning it has been safety tested and approved. The appliance also meets USDA safety standards for canning. Variety of functions: this appliance offers 3 functions: canner, cooker and steamer. Each function is easy to operate. The Granite Ware 0730-2 Presser Canner/Cooker/Steamer, 20 Quart is the real deal and priced right (see lowest price)! 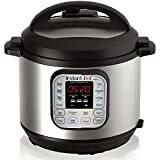 Other multi-purpose pressure cookers may claim to be canners, but this pressure cooker is UL listed and has the capacity of canning 7 one-quart jars, 8 one-pint jars or 24 half-pint jars at a time. ​The Granite Ware 0730-2 Presser Canner/Cooker/Steamer, maintains the high temperature necessary for canning, 15 psi, as specified by USDA standards. The standards explain that canning at high temperatures is the only safe method for canning meat, poultry and low acid vegetables. The Granite Ware cooker has a pressure regulator system that calibrates the level of pressure in the cooker at three settings —5 psi, 10 psi, and 15 psi. You are able to set the pressure of the cooker to meet your cooking needs. ​Canning is a primary focus with the Granite Ware cooker. Finally, you will have the capacity to can all the beans, asparagus, beets, corn, okra and applesauce that your garden has to offer! The appliance includes a handy canning rack for holding the canning jars. The rack keeps the jars off the bottom of the cooker and the rack’s folding handles make it easy to raise and lower the canning jars from the cooker. The unit also has several safety devices. A pop-up pressure indicator locks the lid. The lid cannot be opened when the container is pressurized. A vent pipe is located at the top of the lid, and an additional safety valve, are designed to vent pressure. ​The Granite Ware 0730-2 Presser Canner/Cooker/Steamer has two other cooking functions. It can be used as a pressure cooker and a steamer. The enormous 20 quart capacity makes it easy to prepare a meal for a large family. When you want to steam foods, simply place the steamer insert inside. This insert fits into the steeped part of the cooking container about a third of the way from the bottom. It keeps the food out of the cooking liquid while they steam. The liquid can be seasoned for additional favor. The steamer can be used to prepare tortillas, vegetables, seafood, ribs, pulled pork, pot roasts and many other foods. ​The pressure cooker is perfect for large pieces of meat. Tough cuts, even game, can become tender and succulent. The pressure cooker also prepares food much quicker than conventional cookware while preserving the food’s nutrients and flavor. ​The Granite Ware 0730-2 Presser Canner/Cooker/Steamer, is sturdy. The cooker is constructed of anodized aluminum. Adonization is a process that increases the thickness of the aluminum container. The locking lid is made of stainless steel. Stay-cool handles make it easy to pick up and carry, even when the cooking pot is hot. The locking lid cannot be opened when the cooker is pressurized. It can be used on gas or electric stoves, but cannot be used on an induction cooktop. And the cooking pot of the dishwasher safe. If the pot is washed by hand, it is advised to avoid harsh detergents and scouring pads. ​The Granite Ware Company that manufactures the Granite Ware 0730-2 Presser Canner/Cooker/Steamer, 20 Quart was founded in 1871 and is one of the oldest cookware manufacturers in the United States. The Granite Ware Company offers a limited lifetime warranty for defects in material and workmanship for this product. Our family loves to garden. But the amount of produce can be overwhelming. There are only so many fruit and vegetable servings you can eat in a season. I used to feel guilty because we couldn’t use all of our produce. It was hard to keep up. Now the problem is solved. The Granite Ware Cooker saved the day. ​The canner helps our family take advantage of each fruit and vegetable in season. After we have eaten our fresh fill, we can food for the winter. This year we had produce in the pantry all year long. Food tastes best fresh out of the garden, and second best when it has been canned fresh out of the garden. ​The large capacity of the Granite Ware Cooker enables us to put up a lot of jars at once. And it is good to know that cooker has been approved for safety. I know that the meat I can will be safe and tasty for my family to eat in the future. ​The large capacity of the cooking pot is a bonus for meals, too. I always have soup stock ready to go. And the cooking pot is large enough for me to have dinner and leftover to freeze. This appliance provides a safe means for preserving meat and produce. The large capacity of the cooking pot also makes it easy to prepare meals for a large family. The appliance is solidly built. This is an excellent appliance for large families. It is also great for hunters and gardeners who are interested in canning meat or produce. As I was reading over the instruction book on my new Granite ware pressure cooker. It does not have a gauge to determine the correct heat. Could use some help before I get started. Thanks! It has three weights that come with it, for 5, 10, and 15 psi. That is all you need! You just find the right spot on your stove after it comes to pressure, to were the weight is a gentle rocking motion. It should rock back and forth gently, but it should be moving! I also cheat and use it as a quick release. I get a pot holder and tilt it AWAY from MY towards the wall behind the stove, till the pressure comes off. Just be cautious doing this! Also my lid fell off a spare bed and one handle shattered! Make sure you register the warranty! Quick release is not a practice approved by the USDA. I love mine. I got it for like $35 at most, but my lid fell off the bed in my spare bedroom, and one of the handles shattered! I’m not happy. Now I’m trying to find where I got it from, because I haven’t had it to long. I want another lid! Hey, Ken… the Granite Ware Steamer Pressure Canner/Cooker/Steamer is probably easiest to find on Amazon. I’ve included the link above (click the hyperlink on “see lowest price” in blue). I hope you are able to track it down and find what you need. Wish you the best! I have used the canner and love it. I would like to use it to steam tamales but I can’t find any instructions. Do I just use it like a large pot or is there a faster way to steam tamales utilizing the pressure system. Thanks! Hi, De Anna! I have not cooked tamales before (but it sure sounds yummy!) — but I checked with a friend who has and she recommended putting 2 cups of water in the inner pot, then placing your steamer basket in, and then arranging your tamales in the basket. She cooks hers at about 15 minutes at high pressure. Use a natural release if you have time for it. (Check them and if they need a little more, pressure-up again for 3-5 minutes.) They can be reheated in the pressure cooker, too, for about 5 minutes. Hope that helps!